Las Vegas locals know all too well that the winters can still get chilly, especially in the evening hours. In a 24 hour town, you need to be able to stay comfortable no matter the hours you are awake or asleep. 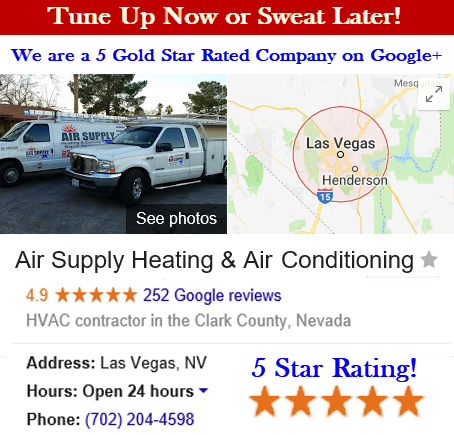 Air Supply Heating and Air Conditioning have been servicing the residents of the Las Vegas Valley with heating services for over 25 years. As we are a reputable company, you know that our technicians have the expertise to ensure your heating services are done with precision and skill. Installation, maintenance, or even repairs are available to local Southern Nevada residents 24/7 in the event of an emergency. It has become recommended by most manufacturers and undoubtedly all professionals in the HVAC trade, that you give annual maintenance to your heating system at the start of cold weather season. For optimal maintenance once at the beginning and at the end of the winter season, we can better safeguard your heating system. With regular maintenance you can extend the life of your heating system, and catch minor dilemmas before they become major catastrophes. A well maintained heating system also enhances performance and efficiency, and stabilizes home utility bills. Residential heating services performed by our specialists include installation and replacement. Most heating systems are reliable for 15 years or so, after which, a new one is needed. With continued education and training, our experts can better prepare your home for sufficient size and capabilities, along with the most modern, energy efficient models. There are quite a few options when finding the heating system right for your home. Gaining the best safety features and quality while staying within your budget. 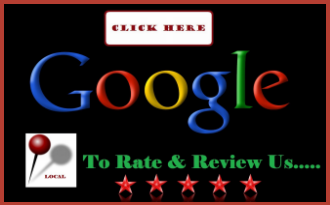 Having professional advice from Air Supply Heating and Air Conditioning is extremely helpful. After a consultation on product has come to a decision, our pros can install your heating system utilizing high quality tools and equipment. Air Supply Heating and Air Conditioning are beyond qualified to make any repairs your heating system requires. Every machine, appliance or device with moving parts can experience wear and tear. Most often than not, these repairs are needed at the most inopportune times. Our specialists can quickly assess the trouble you are experiencing. Even when manufactured parts are needed, we still can get your heating system up and running faster than our competitors. There are many components that keep the heating in your home working smoothly. When one element is in need of services, you need a company you can trust. Air Supply Heating and Air Conditioning have the best in the business on our team. Our professionals have been masterfully trained to acquire the necessary credentials to be in the industry. With a passion for our work, we have accumulated years of experience. Dealing with common problems, along with unique encounters, we have seen it all and can face any challenge. 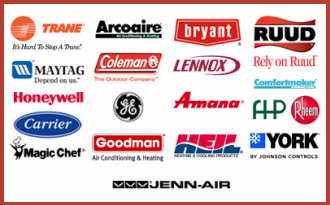 Our professional grade equipment, tools, and supplies combined with our talents and skills ensure superior quality craftsmanship in completing your residential heating services. We are all properly licensed and insured. 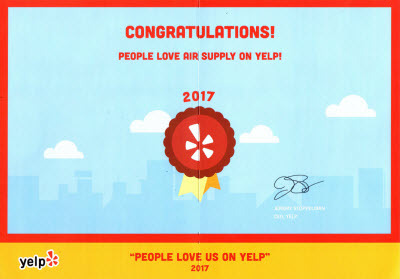 Our valued customers are our priority and look forward to extending the Air Supply Heating and Air Conditioning Family. Call us today for your home’s heating services.